Laird has simplified the product selection and thermal design process by offering standard and custom thermal management solutions that offer precise temperature control to optimise the performance of liquid chromatography equipment. Depending on the heat load capacity requirements of the high performance liquid chromatography (HPLC) equipment, these thermal systems are comprised of Laird's advanced SR-54 Series temperature controller in combination with either the Tunnel Series or PowerCool Series thermoelectric assemblies (TEAs). Liquid chromatography is a technique used for analysis of mixtures by separating, identifying, and quantifying their constituent components. Liquid chromatography normally operates with smaller amounts of material and seeks to measure the relative proportions of analytes in a mixture. R&D laboratories in the pharmaceutical, food science and oil industries use these instruments for product development or reverse engineering. Temperature control plays a major role in the liquid chromatography separation process by influencing the interactions taking place between the sample components and adsorbent. There are two major uses of thermoelectric Peltier technology in controlling temperature of HPLC instruments; temperature control of the sample tray by thermoelectric cooling and heating and the heating and cooling of the separation column. Laird's Tunnel Series and PowerCool Series thermoelectric air-to-air cooling units are designed with efficiency, cost, and continuous reliable operation in mind. Additional design factors include speed of cooling response, temperature stability, resilience against temperature cycling, and resistance to damage by moisture intrusion. In modern HPLC equipment, Laird's thermal management systems are used to provide temperature stability and condensation protection. Depending on the mixture, precise temperatures control ranging from 4 to 40 degrees C is required. Heat load requirements typically range from 25 to 100W, with some new machines requiring up to 200W to increase sample testing throughput. In addition, many new HPLC instruments feature multiple sample storage chambers that have different cooling/heating requirements, increasing the overall system heat load. The Tunnel Series thermoelectric assemblies offer the most compact form factor with minimal number of airflow paths required to operate efficiently compared to traditional impingement flow TEAs. This product is offered in air-to-air configurations and direct-to-air. The PowerCool Series TEA is designed for larger sample storage compartments with a higher heat load requirement. The PowerCool Series has a maximum cooling capacity of 200W. 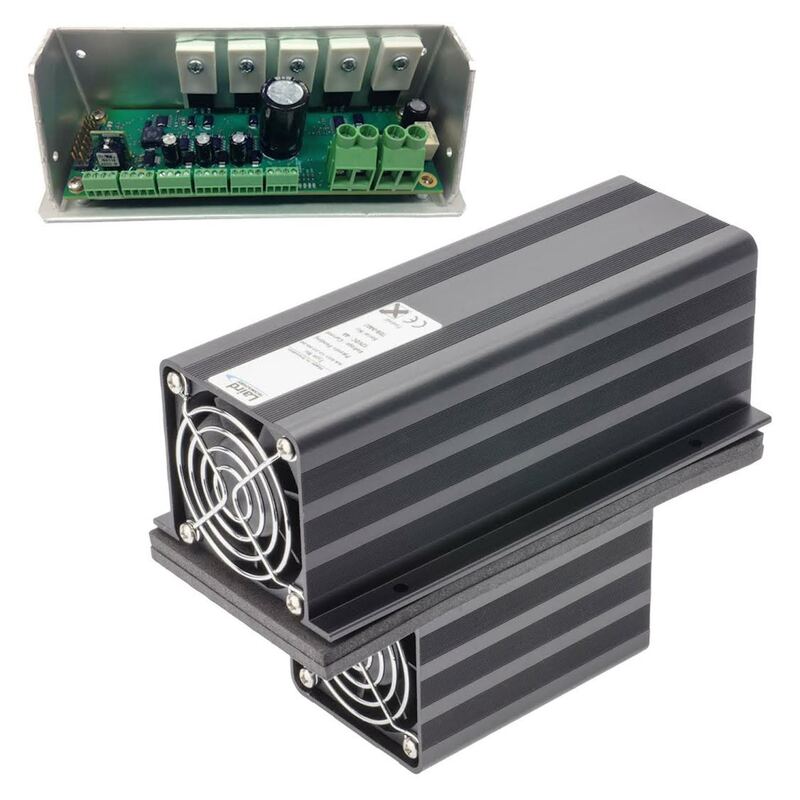 Both the Tunnel and PowerCool Series TEAs cool via convection or conduction and utilise custom designed thermoelectric modules to generate heat-pumping action, which achieve a high coefficient of performance (COP) to minimise power consumption. In addition, the solid-state construction offers low noise operation, long operating life of 40,000 hours MTBF and low maintenance. Laird TEAs are driven by the SR-54 programmable controller to deliver a complete thermal management solution. The SR-54 temperature controller provides monitoring and alarm functionality, including identification of a problematic fan, thermoelectric module, over-temperature thermostat and temperature sensor failure — all of which are critical to maximising instrumentation equipment uptime. The ready-to-use controller requires minimal programming out of the box and can be easily adhered to a TEA or system enclosure. The controller also lowers operational noise, as fans are turned off once the specified temperature has been reached inside the respective HPLC sample tray and separation column.